This Qualcomm Snapdragon 820-driven handset formerly known as Argon has a 21 MP main camera, 4 GB RAM, and can be purchased for $499.99 USD. The handset formerly known as Argon is now up for pre-order in both Canada and the US, although BlackBerry still has to officially announce it. Unfortunately, this handset will not get any successor, since the company once known as RIM has decided to stop designing any handsets. 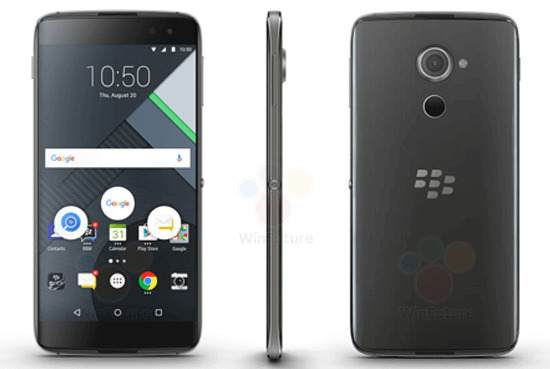 The handset known as BlackBerry DTEK60 has a 5.5-inch Quad HD display and is driven by a Qualcomm Snapdragon 820 processor. The other specs are also above average, with 4 GB RAM, an 8 MP shooter for selfies, and a 21 MP main camera on the back. This handset runs Android Marshmallow and is powered by a 3,000 mAh battery. Priced at $499.99 USD, the DTEK60 can be acquired via B&H. Unfortunately, it comes with a catch - Sprint and Verizon users in the US cannot use it because the BlackBerry DTEK60 is only GSM-compatible. Surely not a strong selling point for the handset that might end up as the last BlackBerry device ever.